H&M’s profits slumped in what the boss dubbed a ‘tough’ first half-year as the Swedish fashion group battled with hoards of unsold clothes. The world’s second-biggest fashion retailer, which counts Monki, COS and Weekday among its brands, suffered a 28 per cent decline in pre-tax profits to £510m (6.01bn Swedish krona) in the six months to May 31. 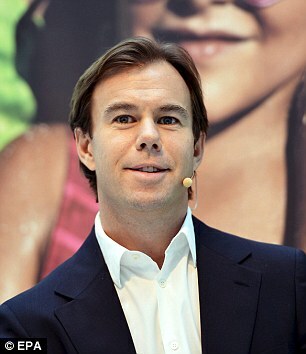 Chief executive Karl-Johan Persson said: ‘As we signalled previously, it was going to be a tough first half-year. Sales remained broadly flat after falling in the previous two quarters. But H&M said the performance was ‘not satisfactory’ and still left it with too much stock at the end of the period. The fashion boss added that, as part of the business’ turnaround efforts, H&M is overhauling its logistics systems to make its supply chain ‘even faster, more flexible and more efficient’. 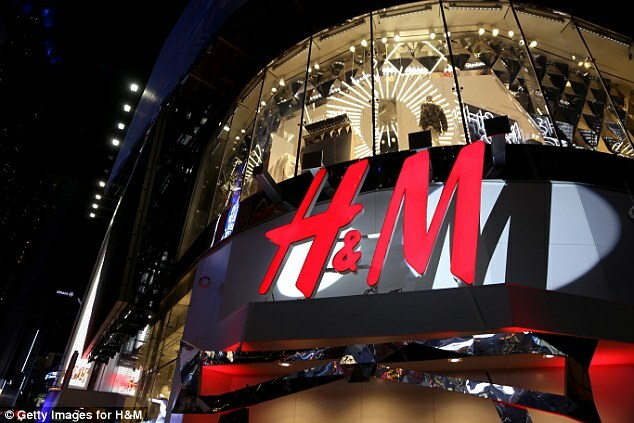 Making the ‘necessary’ changes to the supply chain contributed to H&M’s profit drop as it temporarily disrupted sales in the USA, France, Italy and Belgium. Its turnaround efforts come as H&M battles to keep pace with fast-fashion rival Zara, the world’s biggest fashion retailer, renowned for its speed to market. H&M said today that it plans to broaden its product range by introducing lamps and furniture in the second half of 2018. The retailer attempted to assure investors, claiming that ‘things are moving in the right direction, even though many challenges remain and there is a lot of hard work still to do’.